When he is looking for Harvey at the party, but is confronted سے طرف کی Batman instead. He knew that Harvey Dent was lieing about his identity the whole time. After the Batmobile appears in the chase scene. 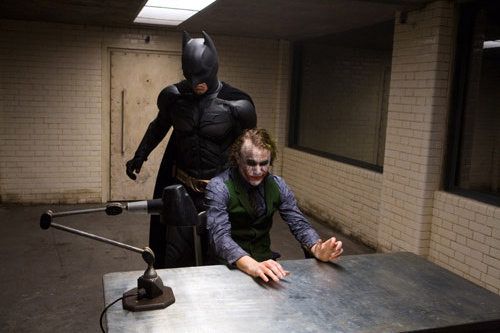 When Batman confronts him in the cell.